What does starting again from Nature mean? Has it been abandoned? We’re certainly losing interest in it precisely when it deserves all our attention, commitment and energy. Hearing the urgency for green spaces, environmental dangers, more ecological catastrophes to come, yet another rare and ‘photogenic’ species at risk of extinction… being shouted out by the media every day, our capacity for empathy towards what is less and less around us or under our feet, the Earth, has become saturated. Five years have passed since we were arrested in Switzerland when police at a checkpoint on the Albis pass, Canton of Zurich, found explosives, propane gas canisters, petrol cans and several copies of a claim by Switzerland Earth Liberation Front in the car we were in. The target of the proposed attack was the Binning and Rohrer Nanotechnology Centre, a structure that was under construction at the time, property of IBM in collaboration with ETH, the Federal Polytechnic of Zurich. The trial took place a year and a half later where we were accused of: preparing deliberate arson; concealing and transporting explosive material; unauthorized trade (importation) of explosives. Federal prosecutor Hansjörg Stadler demanded sentences of 3 years and 4 to 8 months, broadly accepted by federal judge Walter Wütrich. The court confirmed all the charges, except that of illicit traffic (importation) of explosives, a charge we were cleared of. The Zurich Office of Corrections denied the conditional release of Marco Camenisch. The 60 years old eco-anarchist prisoner is incarcerated since 20 years. At present, he’s in the prison of Lenzburg, Switzerland. The early morning of Saturday the 21st we made our approach to the PDI [investigative police] headquarters located on Rodríguez street in the heart of Curicó and we placed a fuse-lit incendiary device under a bus, at one of its wheels, located some 100 meters from the place; the truth is that it appears this set off an alarm, so that while we were quickly getting away we heard fire sirens approaching the place, and so we did not make sure after, the bus only suffered minor damage. Two days later, the morning of Monday the 23rd, we set fire to a barricade in the northeast sector of the city at the intersection of Av. Colon and Av. Balmaceda. We wish to dedicate these fires to the memory of Punk Mauri, at two years since his parting, also we send strength to comrade Gabriel Pombo da Silva recently repressed by his jailers, our minds and hearts are with you in these difficult moments, not forgetting the countless warriors imprisoned around the world, to Silvia, Costa and Billy in their hunger strike, to the latest hostages captured by the Greek dictatorship especially to Theofilos Mavropoulos, the comrade wounded by the police in a clash and likewise to the anonymous combatant who took flight, to the warriors who fill the $hilean dungeons, and to those who fly far away in their insurgent escape. Attacks by the Informal Anarchist Federation (FAI) across three countries in Europe. The targets are directed at military, nuclear-industrial and prison targets within the frame of international revolutionary solidarity. The European authorities are trying to withhold details of the claims accompanying the explosive devices for purpose of denying the ‘value of propaganda’. 30 March 2011 – Olten, Switzerland: A package bomb exploded in the offices of Swissnuclear (the Federation of the Swiss nuclear industry) giving two office workers superficial burns. 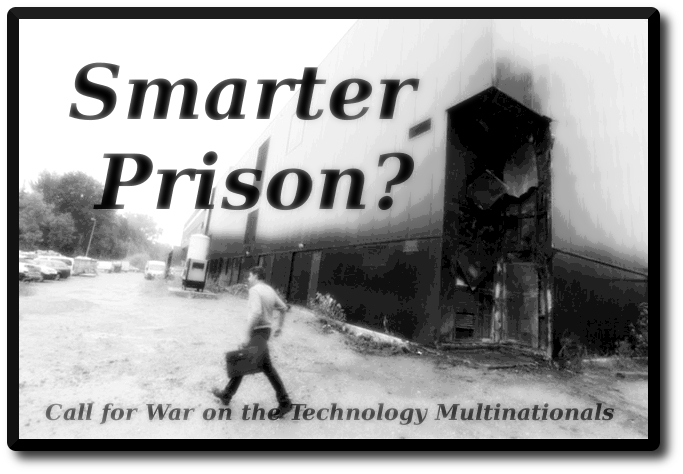 The attack is claimed by the FAI who outline a vision of their ideas and vindicate the action in solidarity with Silvia, Costas and Luca who are imprisoned accused of planning to attack a center of IBM nanotechnology in Rüschlikon, Zürich. 31 March 2011 – Livorno, Italy: A package bomb has been delivered to the Ruspoli barracks, a center of the Parachutist Brigade Commando which serves in Afghanistan. A soldier remains hurt and crippled. Lieutenant colonel, chief of general staff of the Brigade, highest in degree at the moment in the barracks. The explosion has amputated three fingers of the hand and injuries to the face and the legs. The target was carried away in a state of shock to the first aid. The soldiers at the moment do not supply details. Police investigation is underway. A claim of responsibility accompanied the explosion by the Informal Anarchist Federation. 31 March 2011 – Korydallos, Greece: The Director of Korydallos Prison receives a package bomb but it is detected and defused by technicians of the Greek police. From the Greek corporate press it is learned that inside of the destined package bomb to the director there was a claim of responsibility in the name of the Informal Anarchist Federation. The text has not been published, but Greek journalists report that a draft of two pages in Italian in which is mentioned solidarity to the captive companions of the revolutionary organization Conspiracy of Cells of Fire, and beyond to other prisoners locked up in the prisons of Switzerland, Germany and Chile. On February 24th there is a solidarity protest outside the Swiss Embassy, UK (16-18 Montagu Place, London W1H 2BQ at 5:00pm. Banners and flags will be provided).